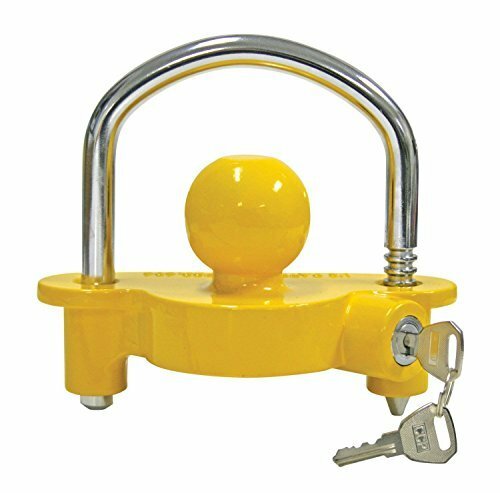 Locking bar width is 3-7/8"
Universal Coupler Lock works on trailers with 1-7/8, 2 or 2-5/16 inch couplers. The locking bar fits over the nose of the coupler to secure lock in place, while the ball sphere fits into the ball socket of the coupler. If you have any questions about this product by Hitch Pins, contact us by completing and submitting the form below. If you are looking for a specif part number, please include it with your message.